Sorry for the late race report (my padded feet get stuck in the keyboard sometimes and I get writers block). 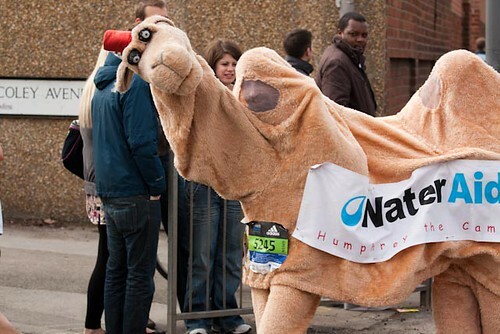 I was well supported by Mustafa my minder and the crowd really got behind me. We came into the Madejski Stadium to a rapturous applause, and managed a sprint for the final 200m round the track. Mustafa collected an exceptional £133 in his bucket (thanks to all who donated). 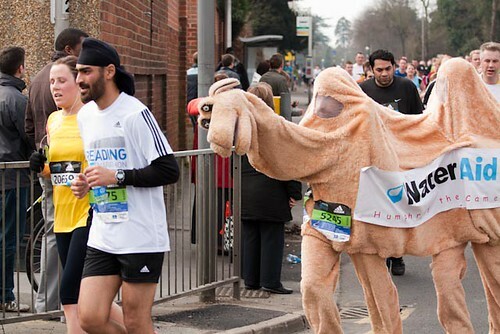 There is a good photo of Mustafa and I on the BBC website (photo 7 of 9) – Reading Half Marathon 2011 in photos . There are some goodies there (really like the Morph chaps). Anyway another super Reading Half Marathon completed, the race gets bigger and better each year. We will be back next year for sure. 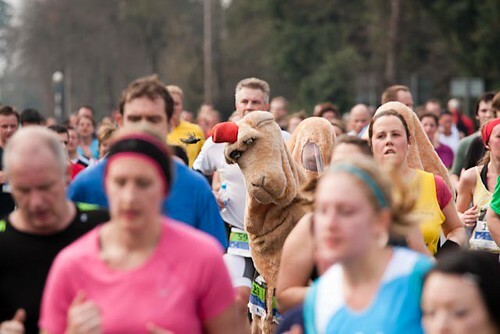 Bring on the the London Marathon on the 17th April.